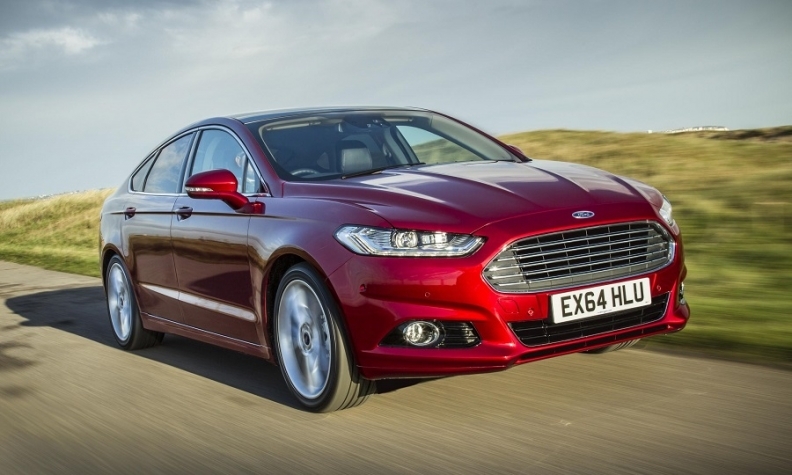 The Mondeo , shown, and other models will be dropped as part of a global revamp, the Sunday Times reported. LONDON -- Ford said it is standing by its Mondeo midsize car, adding it will move forward with plans for an upgrade of the model and denying a Sunday Times report that it plans to halt production. The Mondeo remains a “core part” of its product line-up in Europe, and there will be improvements introduced later this year, the U.S. automaker said Monday in an emailed statement. The Sunday Times reported that dropping the Mondeo and other models would be part of a global revamp that would see up to 24,000 jobs slashed, many of them in Europe. “We have upgrades coming for Mondeo later this year, which will see new powertrains as well as exterior and interior updates as well as enhancements to the Mondeo Hybrid range,” the company said. Speculation over changes to the lineup follows an acknowledgement by Ford that its European operation needs a major redesign to deliver on targets and that it is focused on cutting costs to improve performance. Unite union, which represents workers at Ford engine plants including in Bridgend and Dagenham in the UK, said it was pressing Ford to invest and future proof its British factories. The automaker also denied the Sunday Times’ claims that it is considering ending production of the Galaxy and S-Max minivans. All three are manufactured at Ford’s plant in Valencia, Spain, which also makes the Kuga and Connect. The site employs approximately 3,480 people.